Toronto real estate showed signs of improvement from last year, but that doesn’t exactly say much. Toronto Real Estate Board (TREB) numbers show sales improved in July, printing a huge jump. Last year’s numbers were hampered by policy changes, so it isn’t the great news it appears. Despite showing big gains, most numbers indicate it was the second worst July in years. The price of a typical home fell on a monthly basis. TREB reported a benchmark price of $768,400 in July, down $3,700 from the month before. In the City of Toronto the benchmark fell to $838,900, down $1,300 from June. The monthly change had varying impacts on the annual price change. The annual change showed signs of improvement. TREB’s benchmark in July is down 0.59% from last year, better than the 4.76% decline we saw last month. The City of Toronto’s benchmark annual benchmark is 3.8% higher, up from 1.29% the month before. It’s not last year’s 18% and 20% respectively, but it could be worse. The median sale price of a home across Toronto leaped higher from last year. TREB reported a median sale price of $670,000, an increase of 7.02% from last year. The City of Toronto’s median sale price came in at $650,000, up 10.26% from the same time last year. Median prices are not adjusted to size or quality, but they’re popular with foreign buyers. The average sale price of Toronto real estate is up from last year, across the board. TREB reported an average sale price of $782,129 in July, up 4.81% from last year. 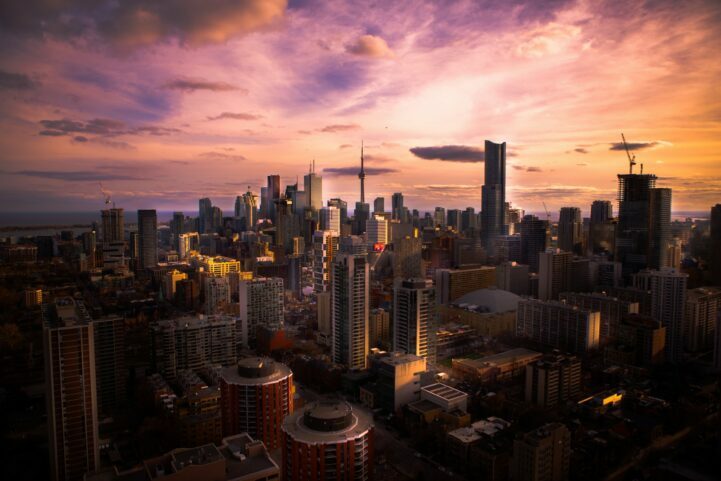 The City of Toronto saw an average sale price of $824,336, up 8.54% from last year. Average sale prices aren’t indicative of what you would pay for a home, but a better indicator of dollar flow. That being a positive here. The volume of Toronto real estate sales showed big improvements from last year. TREB reported 6,961 sales in July, up 17.56% from last year. The City of Toronto represented 2,574 of those sales, up 11.76% from last year. Before you get too excited about the jump in sales, last year was the biggest drop in sales since 2009. The revision of last year’s sales also drops it down another 52 homes. Other than July 2017, you would have to go back a looong time to find a July this slow. Inventory is off of historic lows, but still remained relatively tight. TREB reported 13,868 new listings in July, down 2.13% from last year. The City of Toronto represented 4,511 of those listings, up 0.26% from last year. New listings fell in the suburbs, but made a minor increase in the city. 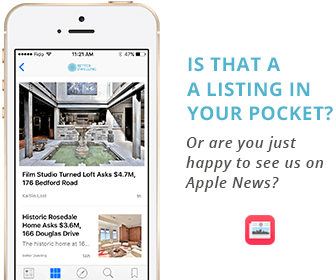 The total number of listings for sale also showed the opposite trend. TREB reported 19,725 active listings, up 5.19% from last year. The City of Toronto represented 5,479 of those active listings, down 3.87% from last year. Inventory is up in the suburbs, but lower in the actual city, compared to last year. Last year’s wreck that was Toronto real estate is in the rear view mirror, but we still have a tricky read on direction. We’re comparing this month to numbers that were hit with an overreaction to policy changes. The policy changes made last July one of the worst in recent history. Beating it might not be the recovery sign it appears to be. Reporting the second worst July in a long time isn’t exactly a reason to celebrate, is it? Thanks for the quick historical comparison. I’ll email you some numbers later with thoughts. Much appreciated. I disagree, this is the first sign that it was the bottom. We’re shaking off the policy changes, and moving higher. Yes Paul (wink) we’re in recovery. Please ‘jockey on’ and make sure ALL of your clients know this is a great time to buy. I mean, how can RE in Southern Ontario go any lower? It’s already come down a MASSIVE 15%! That’s like a whole $100K! I’ll let you puke up whatever narrative you feel is appropriate. Go. Go now. Pappa Blue need you to spread your wings and fly! BD4L. Why so aggressive all the time? Up up and away my beautiful balloon. It’s a downtrend. It needs to break it’s downtrend before you can say “recovered.” Until comps break above $816,000, it’s trending lower. I agree, charts and numbers do not lie. To me if we were to go strictly by charts we literally had a dead cat bounce that created a new high for the year in may at 772k. Going by the chart the trend is beginning to move downwards to test a new low. And that’s for the magical (i.e. fairy dust improved) “benchmark price”. If you look at the average price charts for both Toronto and 905 detached properties, they look even worse – particularly for the 905 area. Basically if you’ve purchased a detached house in the 905 area at any time since April 2016, on average you’ll be under water once you include the closing costs even without adjusting for inflation. * Toronto average detached price down for a second month in a row – down 5.4% from the May peak and 14.5% from the all time peak! * 905 average detached price also down for a second month in a row – down 3.4% from the May peak and 19.3% from the all time peak! * GTA Active listings, nearly 50% above the 3 year average and near 3 year highs (i.e. inventory not being absorbed) ! * Sales to AL ratio dropped compared to June (i.e. absorption rate declined). * GTA sales are actually down compared to last July (which was already a pretty terrible month)! I sense a real push from the RE industry to artificially raise demand so that they can get rid of the overpriced properties they speculatively bought in 2016/2107. I work in a newsroom, they send a summary of opinion and numbers to reporters, not the actual report. When they release the data into a long weekend (they normally don’t release them on Friday), they are almost certainly trying to bury an indicator. I imagine after these numbers get torn through, we’ll get the real picture. BD does a great job pulling up context numbers, which helps a lot in understanding the bigger picture. All signs point to March 2018 being the bottom of the market. We’ve seen numbers improve straight through. It’s hard to ID the bottom, but that’s when you make the most money on a home. Nice and balanced post today, it was important to mention that last year was an artificial month to be compared to. People under normal circumstances would not act that way, and it needs to be noted. All the sales data is very general when looking at neighbourhoods but the drop in inventory is a problem. The sub-1 million market for homes is still very active in certain neighbourhoods. What neighborhoods are you seeing that in? I think YoY stats are what matter the most. 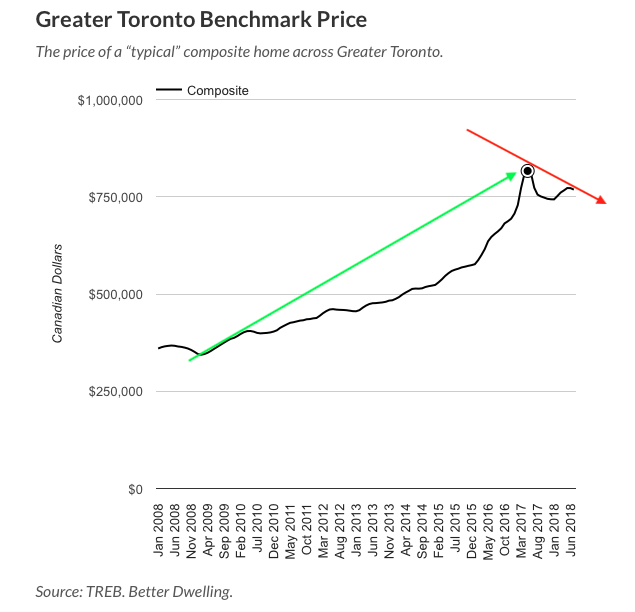 Obviously the Spring of 2017 was an investor fueled frenzy that quickly reversed but it does look like the City of Toronto is back on track to slow and stable price growth. Some people are calling this a bull trap but I think we are just following Vancouver. They had a drop off after they introduced their FBT in summer 2016. 8-12 months later they were showing gains again. I haven’t checking on Van since January of this year but everything was at least going great up until then. I bet Toronto does the same. You’re probably the expert though, considering you own multiple units. What are your thoughts? There are similarities between VAN and TOR indeed and you should definitely check Vancouver latest data and some news headlines because inventory is at 7 months in Vancouver now and July data showed that all housing types including condo posted YoY price declines. AKA Mr Only non biased new source is the China Daily………. AKA the CPC owned paper is the truth, the whole truth and nothing but the truth………………………..TRUTH! You’ve made Blue laugh. Blue likes jokes. BD4L. Did Justin thyme sayvtherees no money in real estate? Lol. I’ve got 500k from an 8yr and 90k real estate deal that says otherwise.